We at iontodevice wish, that as many people as possible that suffer from Hyperhidrosis can enjoy the advantages of our professional Iontophoresis machines. This is why we offer now a retainage payment option. 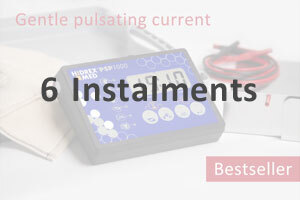 You have the opportunity to purchase one of our pulsed devices like the Idromed 5PS or Hidrex PSP1000 in instalments. It’s easy and uncomplicated, but you have to torder the installment plans with a credit card. 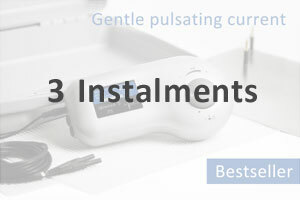 You have the choice of paying in 3 or 6 month instalments. And the best thing is, that you pay a very small and fair handling fee for the 6 and 12 months instalment purchase! Instalment buying - So many people asked us if we couldnt offer a deferred payment because a professional Iontophoresis device costs its money, and not everyone can afford this at a one time purchase, so a holdback payment is really a good idea to pay. Our instalment sale is easy and fair, and all services and support options of iontodevice.com are included! If you order than the first (initial) payment is done immediately, and the following (second) payment we will debit at the beginning of 1 month plus. This prevents that the second payment is debited close after the initial. If you order e.g. on the first to 31th of January, then the 2nd payment is due on March 1th. You have to do nothing, we will debit this from your credit card, as long the instalments must to be done to fulfill the whole instalment circle. If your credit card is not valid the whole time, we will debit either the whole remaining money, or you can provide us a new creditcard. In both cases we will send you a reminder mail to take your wished steps.